Reflections on life, photography, travel and more. 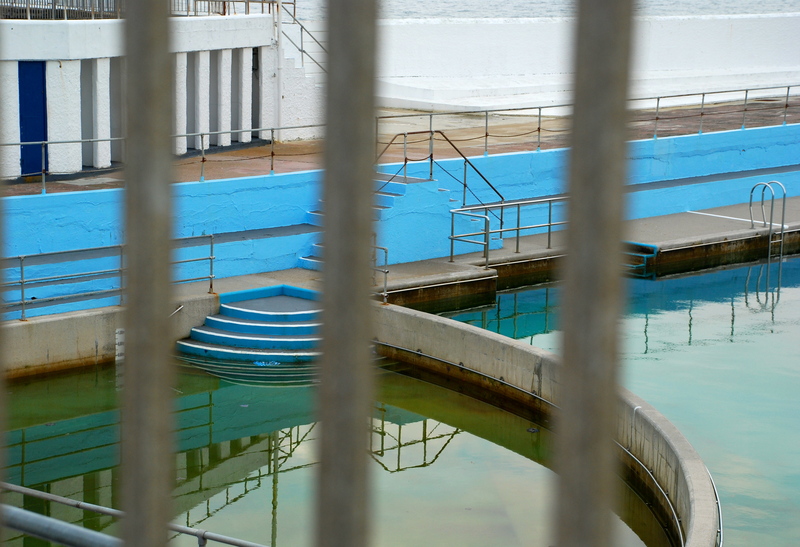 With what pleasure I remember dipping my tiny toes into the open-air bathing pool in New Brighton. Many years have passed since then, and New Brighton Pool was sadly demolished in 1990, but open air pools still evoke those carefree days of childhood. Ooh la la: what a cover-up! 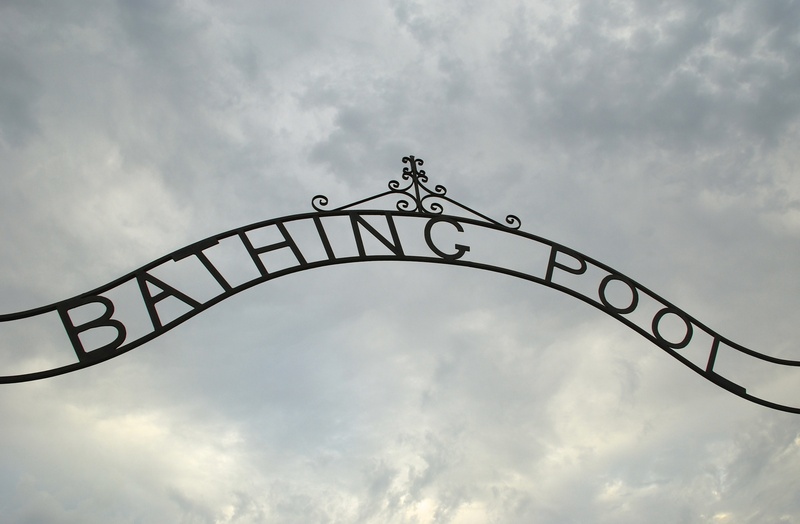 Outdoor pursuits were very much in vogue in the 1930s when many of our lidos – outdoor swimming pools – were constructed. 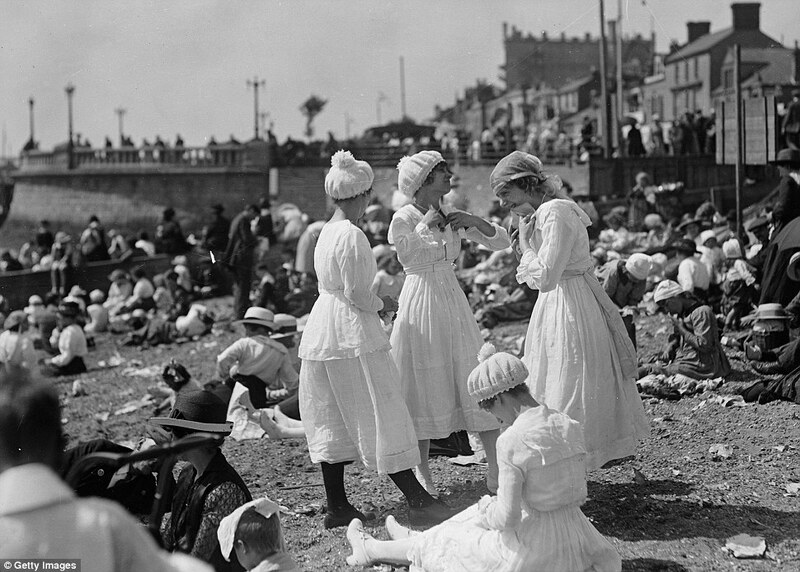 Out went the Victorian values, and in came glamour; women no longer felt the need to cover up when the sun was out. Swimming became a popular pastime, and fashionable swimwear was modelled on the beaches and at the pool. The railways had made travel easier from the early years of the 20th century and seaside resorts competed to attract the increasing numbers of holidaymakers. Many already had piers, but now they invested in building lidos. 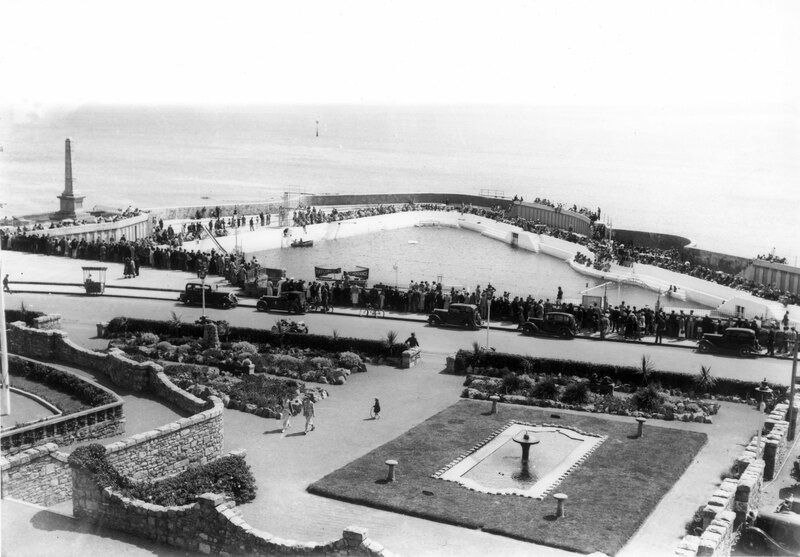 In 1935, to mark the Silver Jubilee of King George V, the Jubilee Pool was opened to much acclaim in Penzance on the coast of Cornwall. It was designed by Captain F. Latham, the borough engineer, who came up with its triangular shape to combat the crashing Cornish waves. 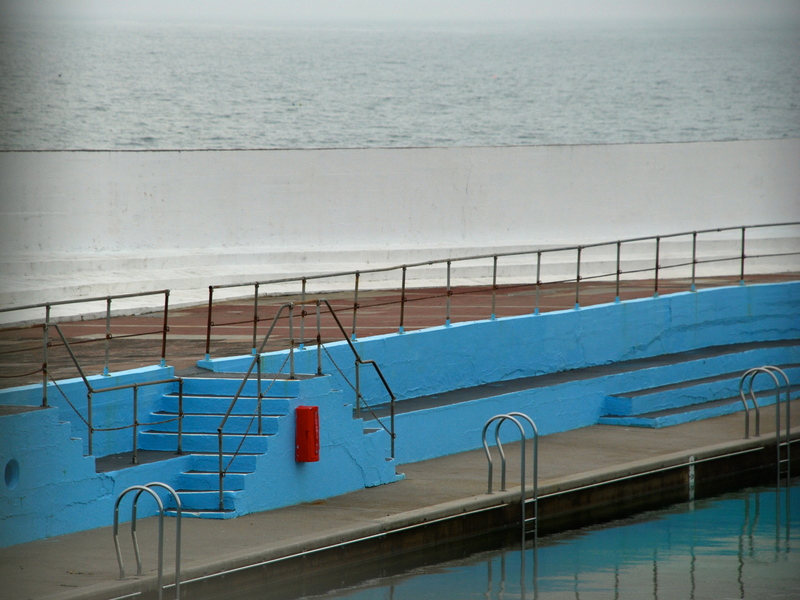 Its high walls offered further protection from the strong winds for both bathers and spectators. 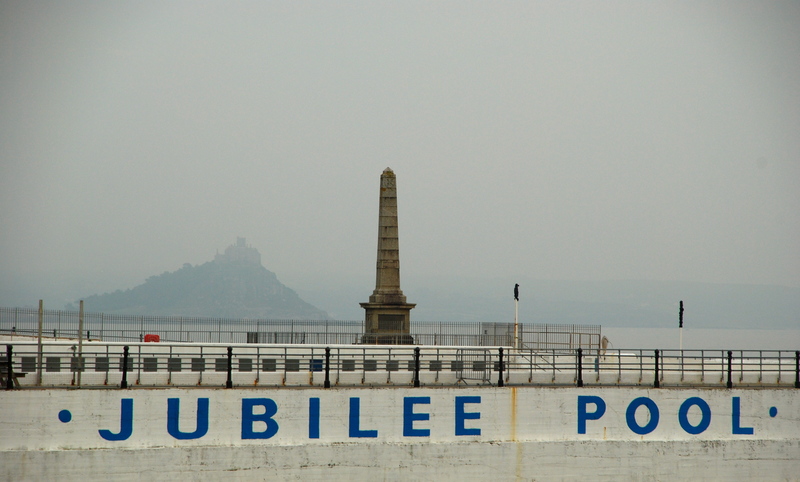 The Jubilee Pool is the last open-air art deco pool in the UK, as well as the largest open-air seawater tidal pool. Its gentle curves and Cubist-style interior are beautifully preserved. It’s closed now for Winter; brave souls still swim in the surrounding sea but the pool lies silent until its reawakening in the Spring. Still, peering through its bars, you can admire its curves…. 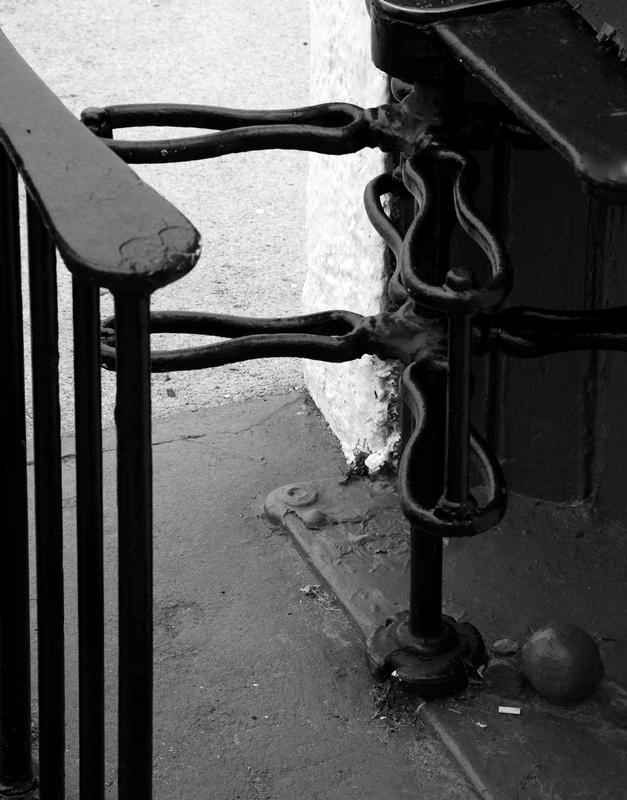 ….and wait for the turnstile to click into life once again…. 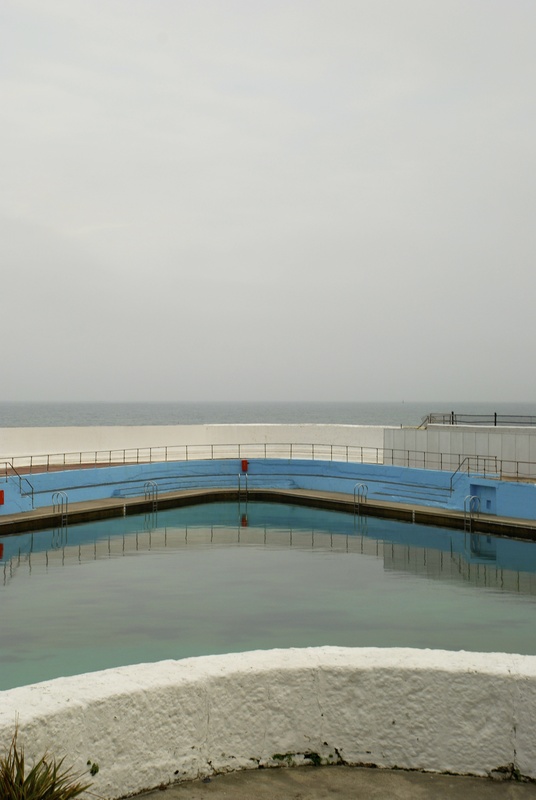 This entry was posted in Photography, Places of Interest - Cornwall, Travel and tagged Jubilee Pool Penzance, Lido on October 10, 2013 by maryshoobridge.